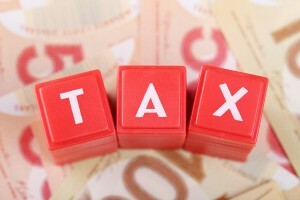 Looking to do business in Canada and wondering how to do tax deductions for your employees? In this post, we will do an overview of some of the tax deductions that affect your wages paid and payroll record keeping that you need to be aware of if you are thinking about doing business as a company in Canada. In Canada the tax year follows the calendar year just as the United States does, so the tax year runs from January 1st to December 31st. What makes the payroll environment unique in Canada is that the rules for income deductions and the available programs are fairly consistent across all provinces and territories, except for the province of Québec. Historically, Québec once was a part of France and still retains its civil law heritage. During Confederation, the province was allowed to retain sovereignty by having additional power to legislate in addition to the provincial jurisdiction abilities awarded to all provinces later on. This has resulted in some differences in regulations, laws and legal procedures in the province from the rest of Canada. Below, we will go over employee income deductions that are statutory (or mandatory by law) and those that are voluntary for employees in Canada. These are the mandatory income deductions that an employer must collect from the pay check of each employee. The CPP is one of Canada’s national retirement income (or pension) plans. Similar to Australia, this is a mandatory retirement contribution for all Canadians with few exceptions. Individual contributions are calculated to be a percentage of an employee’s income up to a maximum contribution amount and anyone that is 18 or older must contribute to the CPP. Like the American FICA tax, employees and employers must make equal percentage contributions to the CPP. CPP applies to all provinces except Québec. Every province in Canada has the option to opt out of the CPP and make their own public pension plan, however Québec was the only province to do. As a result, employees that report to a work site in Québec are deducted QPP contributions instead of CPP contributions from their income. If an employee lives in another province but reports in person to a work site in Québec, then they are deducted QPP contributions instead of CPP. The exception is for federally regulated worksites – if the work site is in Québec and the company is federally regulated, then CPP is deducted. Click here for a list of federally regulated industries. EI provides temporary financial assistance to a person while they look for work or improve their skillset should they become unemployed at no fault of theirs. Though while employed, individuals must make contributions to their EI fund. QPIP gives maternity, parental and adoption benefits for residents of Québec that they would have previously received with EI. However, in Québec employees must make contributions to both EI and QPIP. EI premiums in Québec are lower because of this additional deduction. All provinces and territories in Canada are subjected to a federal income tax to be collected from the wages of employees that operates on a bracket or (interval) system. Each province and territory has their own income tax at their own rate with their own tax brackets. Employers must deduct the appropriate federal tax amount as well as the applicable provincial tax amount from each employee. To view both the federal and provincial tax brackets and rates, click here for Québec tax rates, click here. 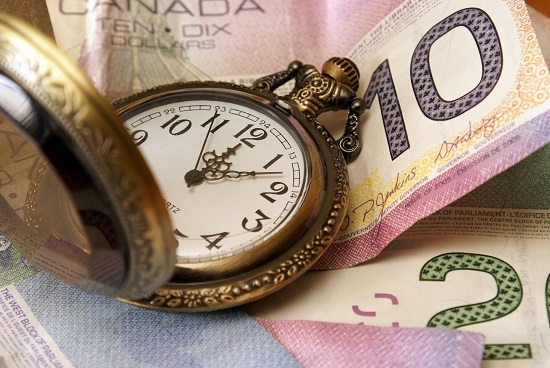 To keep track of which tax bracket(s) each employee is in for both the federal and provincial/territorial tax as well as the tax obligations for employees in Québec or multiple jurisdictions, you can use a payroll software solution such as Advanced Payroll AX. You will be able to group together employees who have the same tax rules applied to them with rule groups or pay groups. That way, the software can automatically manage and deduct all of the applicable taxes for you. The CRA collects the federal income tax as well as the provincial/territorial income tax on behalf of all the provinces and territories except for Québec. These are the voluntary income deductions that if an employee chooses to have, their employer must collect them from the pay check of the employee. At the end of the tax year for each individual employee, employers must provide employees with a T4 slip, or an RL-1 slip if they are in Québec. Both forms document all wages paid to an employee as well as their deductions for the year. It is similar to the American W-2 or the Australian PAYG payment statement. If you are using a software payroll solution such as Advanced Payroll AX, you may need to change the effective date ranges to reflect the new year for your deduction, entitlement and generated earnings schedules. For more information about how to make these changes in Advanced Payroll AX, click here. Advanced Payroll is certified by the CRA for T4s and T4As, and certified by Revenu Québec for the RL-1 slip. To learn more about payroll deductions employers administer to employees, view the Employer’s: Guide: Payroll Deductions and Remittances written by the CRA. If you are opening a business or worksite in Québec, a good resource is the Revenu Québec Guide for Employers. I have a question regarding staff social funds, in your article you state that it is voluntary and must be taken from the paycheque. Now I work at a bank and we are currently made to sign a “non optional” staff fund Automatic funds transfer form that allows them to debut our account for the predetermined amount monthly. It does not show up on our pay stub or T4 as a deduction. I tried to refuse to sign and was told over and over it was non optional. However in my opinion I don’t know why they need my approval if it’s really non optional. Am I correct? Sorry for the delay in replying, we just caught this comment. I would recommend speaking to the CRA directly about this case – what we have described here are the general guidelines for how these types of deductions are handled. There may be caveats or complexities in your specific case that means what we have written here would not straight-forwardly apply. In general though, if something is being deducted from your paycheque by your employer, you would expect it to be showing on the payslip and T4, and are within your rights to ask an explanation for why it is not.